Albert Burton Moore (1887-1967), the author of "Conscription and Conflict in the Confederacy," in his 45-year teaching career was the embodiment of a Southern scholar-gentleman. Born and raised in Alabama, he was a descendant of Confederate veterans, and he wrote and taught at a time when many of them were yet alive. His teaching career, except for four years in Iowa, was entirely in the South. He loved the fair play of sports (he served two terms as president of the NCAA), and he loved the South. His respect for his native region was duly reciprocated, and in his old age Moore served as executive director of the Alabama Civil War Centennial Commission and director of the Confederate States Centennial Conference as well as the Jefferson Davis Foundation. "Conscription and Conflict in the Confederacy" did not have to be an interesting book, but it is one because Moore's writing style is assured, easy, understated. And he has a keen eye for the pithiest quotes from his sources. He writes in proper British academic style, yet the voice is completely American. It is something Southern academics do splendidly. And he knows his Latin. His Southerners regarded their battlefield victories with sincere "gratulation," and Moore cannot bring himself to write "conscripted" when he knows Cicero would only have approved "conscribed." Moore's book is still valued by historians for both parts of its title. The 1996 introduction to the University of South Carolina edition rightly praises the book as still the fundamental introduction to Confederate conscription, as well as a groundbreaking exploration of internal divisions in the CSA, a topic which had been given short shrift by the Lost Cause version of the Civil War which prevailed in America at that time. Yet scholarly thinking about the Civil War and related issues has changed much since Moore's day. 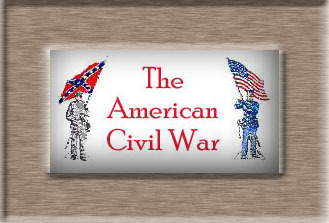 He saw the state and local identification of the CSA's regiments as a weakness, blocking Southern nationhood. But more recent views are that these local ties were exactly the glue that kept Civil War regiments effective, whether North or South. His assumption that secession was principally about states' rights is no longer shared by most historians. But because Moore felt the South's cause was states' rights, the "conflict" in the book's title is largely that between Davis' central government and state authorities, notably the states'-rights governors Brown and Vance. More recent historians, trained in Marxist methodology, instead have played up "class conflict" in the Confederacy. But that is not the bulk of the conflict in Moore's book. As a historian of the Confederacy, he was of the "Died of States' Rights" school of the '20s and '30s. "Like many Southern authors of his generation," the 1996 introduction explains, Moore "can be accused of searching for an internal key to the Confederate defeat in order to avoid any suggestion that the North actually beat the South in a fair fight." Also, Moore wrote in the same shadow that fell across Ella Lonn's 1928 book on Civil War desertion, the shadow of a more recent war. From our long perspective, America's fight in World War I perhaps seems short, enthusiastic, and unified. But in fact it was a disturbing time of repression and civil unrest in the U.S., and the war as a whole was an appalling waste of life based on tragic conscription policies among all the warring powers. "When reading Moore's criticisms of the Confederate Conscription Bureau," the introduction warns, "one should also remember that the author had witnessed the massive conscription programs of World War I." He makes frequent reference to it in his text. Unlike Lonn's book, Moore's makes no comparison with the Union, and it makes no attempt to place the CSA's experience in the flow of military history (despite the allusions to World War I). This is, to me, a serious oversight. Moore's book avoids statistics as much as possible, and the author always alerts his reader, if he delves into numbers, that all the figures are estimates at best, that they are often in dispute, and that surviving Confederate records are very incomplete. Moore views conscription as a flawed, but ultimately successful system that kept the Confederacy's will to fight for independence focused in an effective military effort for four hard years. He quotes the Richmond Examiner, that the conscription act of 1862 "not only overcame the deficiencies of the voluntary system, but changed the character of the army 'from the desultory character of prompt enthusiasm to that of permanent and organized discipline.' "
Moore finds no inherent shame to the Confederate cause in the mere fact of conscription. "President Davis told the Mississippi legislature that there was no more reason to expect voluntary service in the army than voluntary labor upon the public roads or the voluntary payment of taxes." Yet he appreciates the challenge of applying such a system in the American South. "The enforcement of the conscript laws was attended by difficulties that inhered in a system of compulsory service among a proud and free people." He writes that the general public was "gradually reconciled" to the idea, though "strong opposition" remained. His view seems to be that the South's great mistake was not in turning to conscription, but in relying at first on volunteers. "[C]onscription would have been less odious if it had been made the exclusive policy of raising armies at the outset. It might then have been regarded as a scientific way of allocating the man power of the country and distributing fairly the burdens of war. But the volunteer system was tried the first year, and after conscription was adopted volunteering was still allowed. This made conscription appear to be a device for coercing derelicts, hence the taint that attached to the conscript." 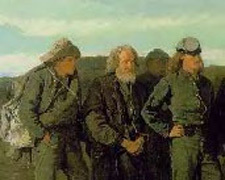 In fact, he writes, the conscription act was more popular in the army than anywhere else in the South, because it would force the unwilling into the ranks alongside the patriots, who ultimately decided they did not mind seeing their time extended if the stay-at-homes were made to fight, too. Its second most important result was as a spur to volunteers. The combination of conscription and volunteerism was a peculiarity of the Civil War. Just as in the North (though Moore does not say this), the risk of being drafted, and the "odium" that would go with it, helped many men decide to volunteer, so they could collect the bounty held out to them and also choose their regiment. Moore understood how the mere fact of conscription changed the entire nature of the volunteer. On the one hand, conscription was a spur to volunteering, but on the other, "conscription took some of the glory out of volunteering, and it probably blunted the edge of public opinion which otherwise might have driven many men to volunteer." He also calls attention to "the significant fact, pointed out by the Mobile Register and Advertiser, that many men who waited to be conscripted were not moral slackers, but they waited because of their private obligations and the necessities of their dependents. When they were conscribed they took up their arms in good faith." The actual drafting of men was probably the least effective part of the South's conscription policy, to read Moore. In fact, as it turned out, the timetable of it is close to that of the North. Drafting was scarcely begun in most places by the end of summer 1862, and in many others not at all until well into the following year. Over against the friction, confusion, and dereliction depicted in this narrative stands out in bold relief the fact of general sacrifices unsurpassed in the annals of military history. Nor is conscription a contradiction of the cheerfulness with which the sacrifices were made. There is much truth in Lord Charnwood's observation that the general patriotism of the people is not to be judged so much by the failure of the purely voluntary system as by the success of the system which succeeded it. [In a footnote here, Moore writes, "Lord Charnwood said this of the North; it might as truly be said of the South."] The dereliction of many sets in a brighter light the heroic devotion of the masses. The unsurpassed sacrifice and heroism of the Southern armies and civilian population -- the proudest and most sacred tradition of the South -- stands unassailed.